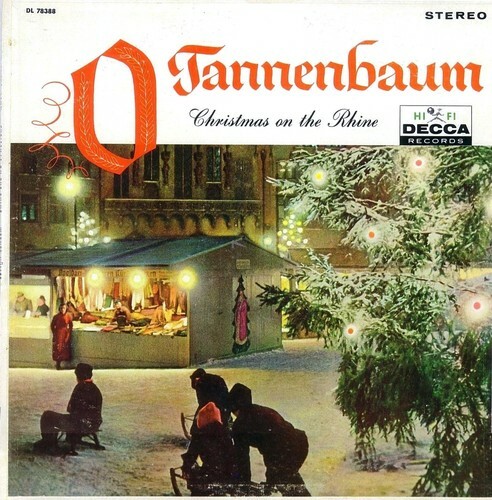 O Tannenbaum! As Christmas approaches, Muse in Wooden Shoes wishes you and yours a happy holiday season. This post is part of a joint blogging project concerning wood-focused fragrances, in honor of the approaching holiday. Bloggers were to review or discuss three perfumes highlighting woody notes. I’m not a woody kind of gal – regular readers know that I love green fragrances and florals of all stripes, from white floral to floral oriental and floral chypre – so I looked on the project as an opportunity to educate myself with a few woody fragrances. Woody scents can vary from dry to sweet, from austere to lush, and I took a scattershot approach, picking one well-known agarwood-sandalwood scent, one highlighting oak, one focused on pine and spruce notes, and a backup scent composed of rosewood. This fragrance is from the house of Italian designer Carla Sozzani, and was composed more than a decade ago by nose Olivier Gillotin. It’s pretty famous for being a sandalwood-rich scent, but I hear it’s been reformulated due to the drastic shortage of real sandalwood. After five to ten minutes of that beautifully medicinal oudy thing, 10 Corso Como settles into a sweet, rich sandalwood. And there it stays for four hours, eventually shedding a little of its sweetness and becoming drier, but staying warm and friendly and approachable. I don’t smell much else other than oud, sandalwood, and vetiver, although I think there might be a bit of rose in there somewhere. It’s not identifiably floral. How you feel about it depends very much on how you feel about sandalwood. I like it myself, but my favorite sandalwood fragrances remain Tableau de Parfums Miriam, SSS Champagne de Bois, and vintage Arpege parfum, with the current version of Bois des Iles running just behind. All of those have both aldehydes and prominent floral notes, and it’s not difficult to see where my preferences tend to lie. 10 Corso Como is very comfortable and attractive, and I enjoy it very much. It’s easily wearable by either gender. My sample is a boxed manufacturer’s sample purchased from The Perfumed Court, and I don’t know how old it is. However, it is a manufacturer’s sample, which leads me to believe that it might be an older one. I’m not sure that 10 Corso Como still smells like this, which is a shame because it’s lovely. On the other hand, it’s on the sweet side and I would have liked it to be a little drier, a little bit more oud-y. I have heard the reformulation is still very nice. Notes, from Now Smell This: Rose, geranium, vetiver, musk, sandalwood, and Malay oud-wood oil. Other notes lists I’ve seen include frankincense. “Cielo,” in Spanish, can mean “sky,” or “heaven,” and I’m not sure which is meant by the title of this fragrance, from a company located in the Napa Valley in California, which is famous for its wines and its lovely landscape. This scent, according to The Perfumed Court, has an oak wood note and is described as being “lovely and distinctive, evocative of Napa Valley vineyards.” I enjoy Serge Lutens’ oaky Chene and the beautiful oakwood opening of Sonoma Scent Studio’s To Dream, so I picked Cielo as a fragrance to highlight for this project for its oak note. Notes: Sweet daphne, grape leaf, honeysuckle, fig leaf, honey, oak, and sandalwood. Cielo opens up with a turpentiney-pinewood-celery-varnish accord that smells like anything but perfume. Actually, it doesn’t just “open up” with that, but it stays in that zone on my skin for hooooouuuuurs, not morphing into anything else, and I’m a little puzzled as to why this thing was bottled in the first place. It doesn’t smell like oak, it doesn’t smell like forest or wood or anything other than turpentine. It’s possible that it reacts badly to my skin; however, I didn’t like it on paper, either. I can’t imagine anyone wanting to smell like this at all. For what it’s worth, I do not enjoy scents with fig leaf, and I imagine that’s the issue here. FAIL. And since this one was such a disaster, I’m going to move on to another scent. Festive is one of Dawn Spencer Hurwitz’ holiday offerings – in years past she’s offered one new creation each holiday season. I’m not sure whether she’s still doing that or not, but past holiday scents have included Ma Folie de Noel, Winter White, Marzipan, Three Kings, and many others. I had intended to review December, with its notes of “aromatic wood” and “pine cone accord,” but when push came to shove I couldn’t find my sample. However, in the scramble through my DSH samples, I found Festive, which I remembered liking, so I pulled it out instead. Glad I did! Festive was actually the first holiday release, if I’m reading the website correctly, and includes notes of bergamot, bitter orange, spice notes, fir needle, spruce, incense, and sandalwood. My sample is oil format, which of course doesn’t radiate far but sticks around a fairly long time. I never smell the carrier oil in any of Dawn’s oil samples, and the oil absorbs quickly into the skin so I don’t feel greasy. This scent opens up with a relaxed, smiling citrus-pine accord that could go wrong and smell like cleaning products, but doesn’t. I’m not a big citrus fan, and if you’re looking for that kind of thing you’ll be disappointed; the citrus here is muted and reminds me of dried orange peel rather than big bright lemony bergamot. Instead, you get an invigorating hint of the way your house, decorated for Christmas, might smell right after you’ve brought in a fresh-cut fir tree. Traditionally, people in this area used to cut fresh cedars (which, here, are something like overgrown weeds) and although cedars are prickly, dry out easily and leave plenty of dropped needles behind, for the first week or so they can make a house smell truly wonderful. Gradually, Festive’s lovely dried orange peel-and-Christmas tree smell gains some well-blended spicy notes before settling into a sandalwood and amber accord, rich without being too sweet. It lasts for about four hours on me when dabbed sparingly, and it’s a very snuggly sort of scent. I just heard from Dawn yesterday that she’ll be offering home fragrances in some of her scents. Festive would be terrific as a room spray. It’s aromatic in a coniferous-spice way without smacking you over the head like so many so-called “pine” home scents do. It’s nice on skin, too. I like rosewood. It’s a note found in several beloved fragrances, including Annick Goutal Eau du Ciel, Caron Parfum Sacre, (vintage) Coty Emeraude, Diorissimo, Chanel Cristalle, and the first Ines de la Fressange. Unlike many woody notes, which are most prominent in basenotes, rosewood has a bright, aromatic presence that seems most noticeable in the top notes of a perfume. It contains linalool (the distinctive aroma of lavender) and is related to geraniol; it has a lot of the sunny chipper quality of good rose oil. There are many varieties of rosewood, but Brazilian rosewood is the varietal most commonly used in perfumery. This scent called Rosewood seems fairly linear; it does start with a highly aromatic, almost piercing character. I am not sure whether it is a composition or straight-up rosewood: I could swear I smell geranium and rose as well as sandalwood and perhaps a little bit of vanilla as the fragrance develops. It lasts about two and a half or three hours, eventually settling into a quiet woody hum before lifting off my skin completely. I’m a little puzzled about the origin of this particular fragrance. The Perfumed Court lists it as “SCENTS OF AROMATIC RESINS – Rosewood,” but nothing under that name is to be found at profumo.it (the Abdes Salaam Attar website). There is a listing for Scents of Aromatic Resins, but it is a kit for the amateur perfumer and does not include rosewood. It may now be discontinued, or it may be the diluted natural oil of rosewood sold in the Aromatherapy section. The information on the profumo.it website about essence of rosewood says, “Its aroma is calming and antistress; its aroma is harmonizing and stimulant. Therefore it is used in perfumery as an element able to tie ingredients with big differences between them and to smooth the angles of one composition.” Well, whatever this sample vial I have is, whether single ingredient or composition, it’s interesting and pleasant. As a professed sandalwood worshiper, I am ashamed to say that I have not yet tried 10 Corso Como (though I do own a few pairs of their shoes…). The thing is, the sandalwood in Champagne de Bois is *so* perfect, Full Stop, that I see no reason to try anything else. And when I do feel the urge to wear a different one, I have Bois des Iles… Lazy, lazy me! I think I would like 10CC though, the way you describe it. Festive too sounds wonderful, and I love the combination of notes listed—what a room spray that would make! 10 CC is very nice! I prefer Champagne de Bois, though. Festive is really enjoyable – I’m thinking about getting some if it shows up as room spray on the DSH website, as Dawn intimated it might. Wow! You went all out – 4 reviews! I wish I could smell the fir in Festive. Darn specific anosmia! As much as I like oak, I think I’ll stay away from Napa Valley Cielo. As much as I like “turpentiney-pinewood”, I have to stop at celery. Gag-o-rama! If you like rosewood, you might like IUNX L’Ether. It’s all roses and myrrh to me, but even that is nice enough! I only did four because that one was really negative… Good thing I planned on having a backup, hmm? I know, that anosmia thing really stinks. (HA.) I can’t smell Nahema. I haven’t tried any IUNX scents, probably because they’re hard to get and, you know, $$$. But L’Ether sounds so nice! Love rose+myrrh. I know! I’m so not an oud customer, on the surface – I was surprised to like it. I would probably feel very differently about it if it weren’t so frequently paired with rose. Champagne de Bois is so excellent. I need to get that out and wear it. You’ve reviewed some great ones (but I haven’t tried the attar). I have an older bottle of 10 Corso Como and it’s wonderful stuff. My feeling is that you have an older sample. Cielo wears nicely on me but I have sniffed it on others and it was horrible. How does your skin do with honey? The honey in this scent is prominent on me. Festive would be a great home fragrance. Oh, that’s good to know about the 10CC, Victoria. I liked it a great deal, but I probably don’t need a bottle, especially if it’s different now. Honey – hmm. Sometimes honey can go awfully “body smell” on me, especially paired with a lot of jasmine (Quelques Fleurs Royale, I Profumo Miele Rose), but sometimes not. I do love Amoureuse a lot. I wasn’t getting that overripe thing out of Cielo, though, it was just so harsh and sour. I’m still thinking it’s fig leaf that’s bothering me. Wonderful reviews– your piece on Attar Rosewood had me pulling out my box of essential oils and scrabbling for the Brazilian rosewood. And maybe it was the power of suggestion, but I did think I detected all those notes morphing into one another– bright geranium, prickly, rose, buttery sandalwood. I’m sure Abdes Salaam’s is of a much higher grade than my “herb shop” rosewood could ever be– I’ll definitely seek it out. Aha! The Rosewood really was remarkably symphonic for a single note. Very interesting. It was interesting to read your take as a non-wood lover. I think one thing that has been established is that Champagne de Bois is a universal crowd pleaser. 🙂 Glad you’re feeling better! Champagne de Bois is wonderful! And thanks for the well-wishes. Your assessment of the Montale ouds is absolutely spot on, although I have to admit that despite the insistent vanilla/youth dew/bandaid thing that White Aoud has going on I absolutely love it, it’s definitely Montale’s best. A lot of people love that youth dew thing, just not me. (Definitely not me.) I rather like Aoud Roses Petals, too. 10CC I must instantly go and find my sample, which I am pretty sure is untouched. Normally not an oud person, you completely sold this one to me. Cielo went indolic on me as I recall – there was something up with it and I think it was that. I don’t really care for 10 Corso Como – it is along similar lines to Gres Cabaret to my nose, which isn’t a favourite style. But it is well regarded and I have tried it a few times to no avail. Indolic!! Oh my goodness. I swear, I think it’s the fig leaf that I hate. I love Corso Como, it’s one of my favourites! I’d really like to try the DSH Festive, it sounds perfect for the holidays. Thanks for joining us in O Tannenbaum this year! 10CC is really nice, but I think Festive was the winner of the bunch for me. Happy Holidays, Mals, to you, your family and PETBoy! I suppose I could have reviewed just woody fragrances I like, since that isn’t a crowded field for me, but many of those that I do like were already “taken” by other bloggers.